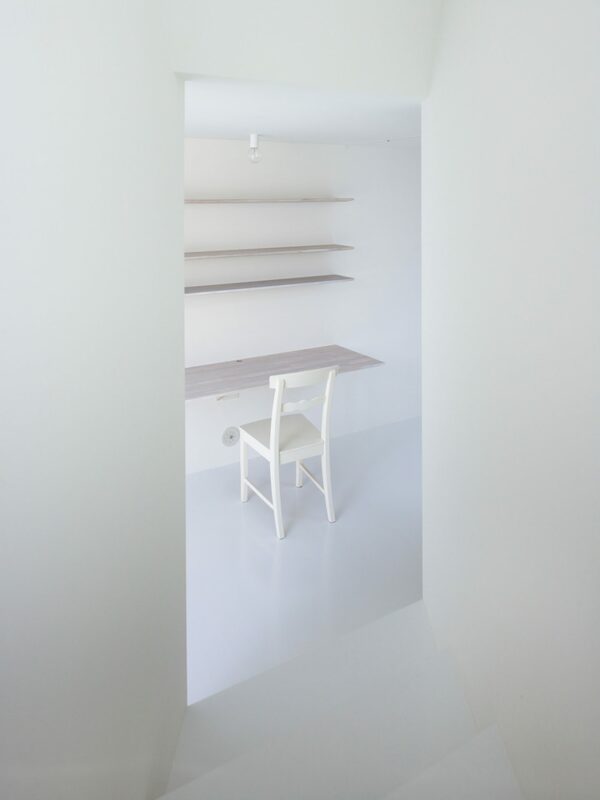 Located in a residential neighbourhood of Nishinomiya, Japan, the house designed by Alphaville Architects seeks for a solution to provide enough of the daylight while not affecting the privacy of its owners at the same time. 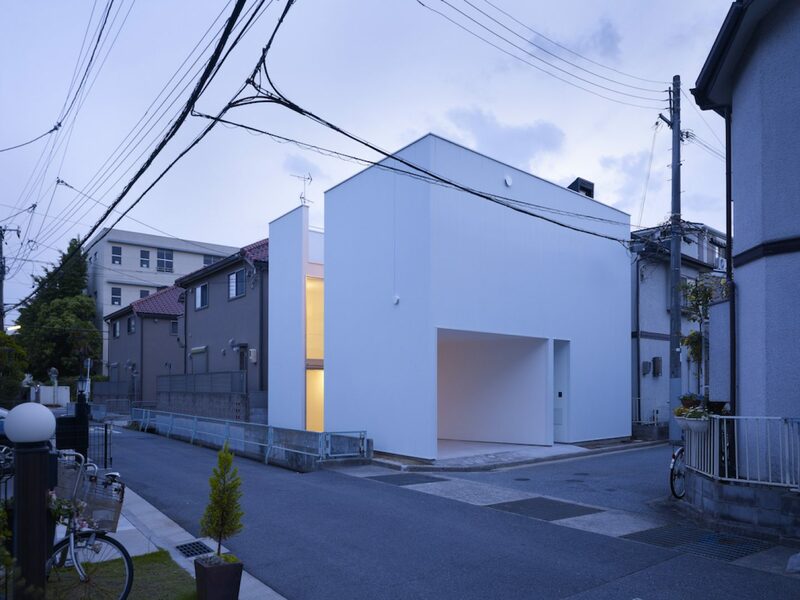 “We hope the house could have a spatial dialogue with the nature and the city.” Given the area’s typical block layout and Nishinomiya’s strict local construction laws, there needs to be a fifty centimetre-wide buffer between the site boundary which allows one-meter narrow gap between the houses. 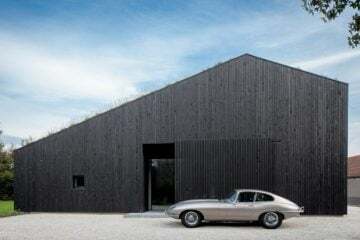 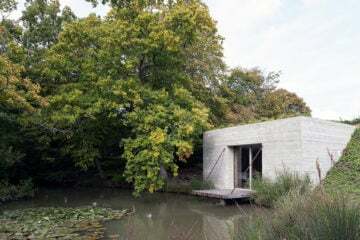 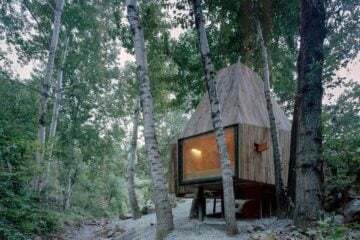 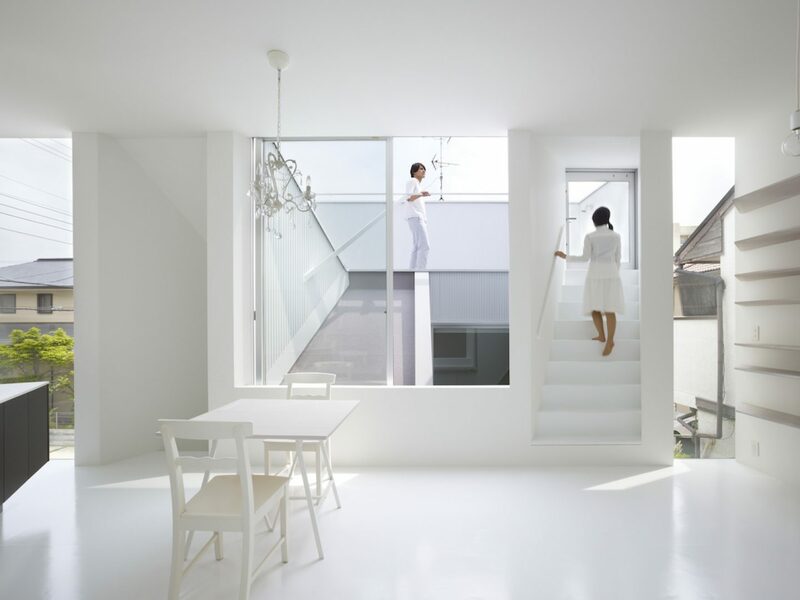 Therefore, usually each house’s windows face the public roads with the curtains shut to keep its privacy. 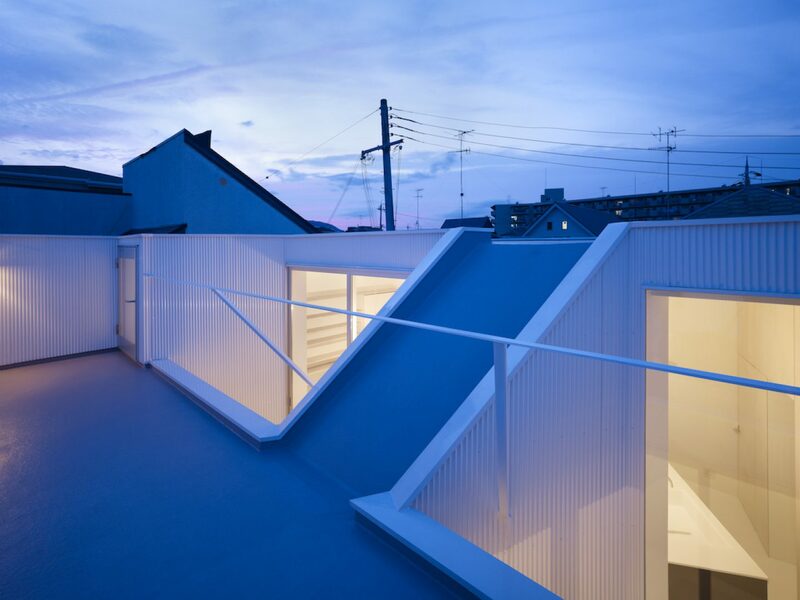 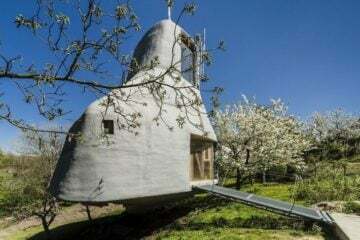 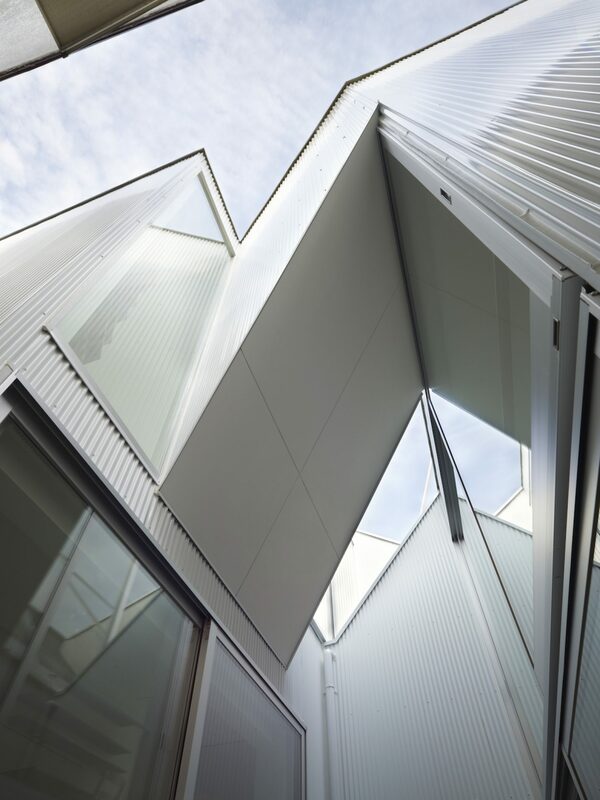 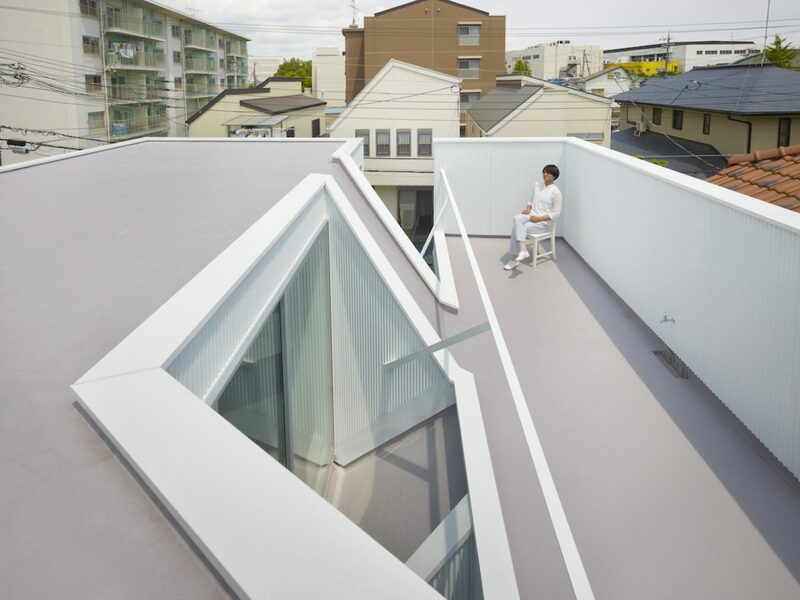 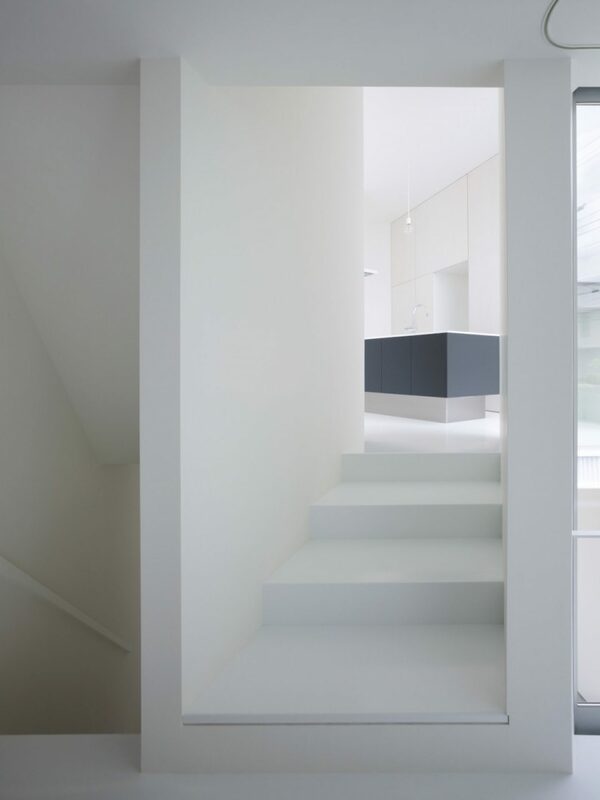 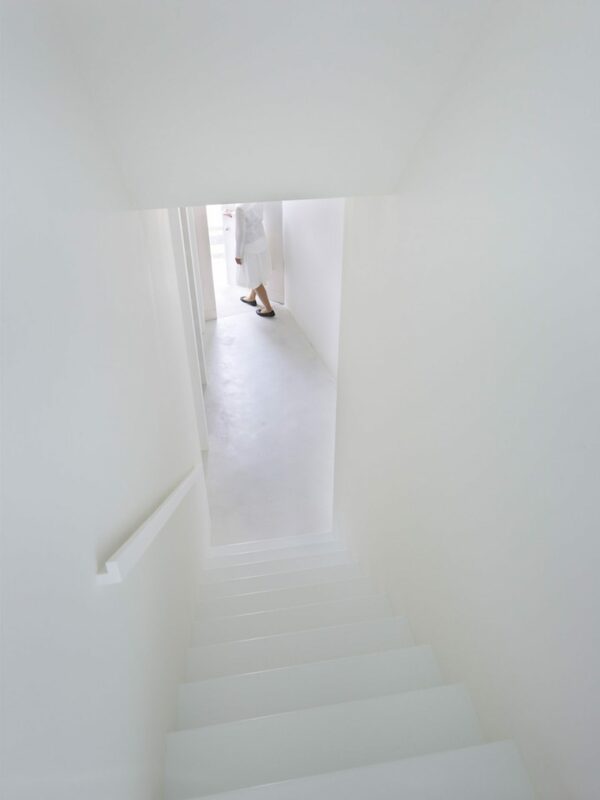 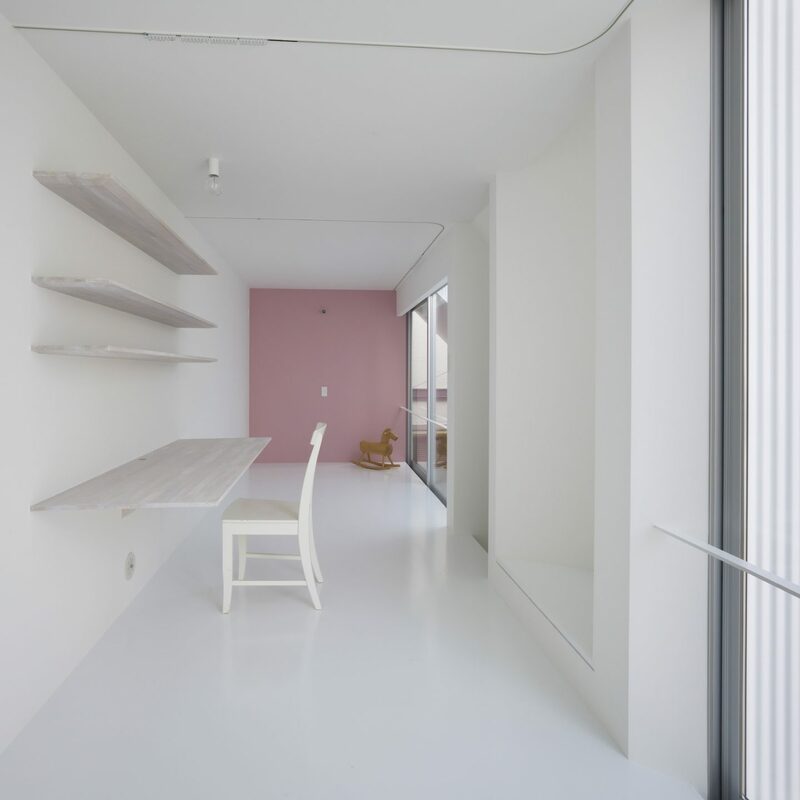 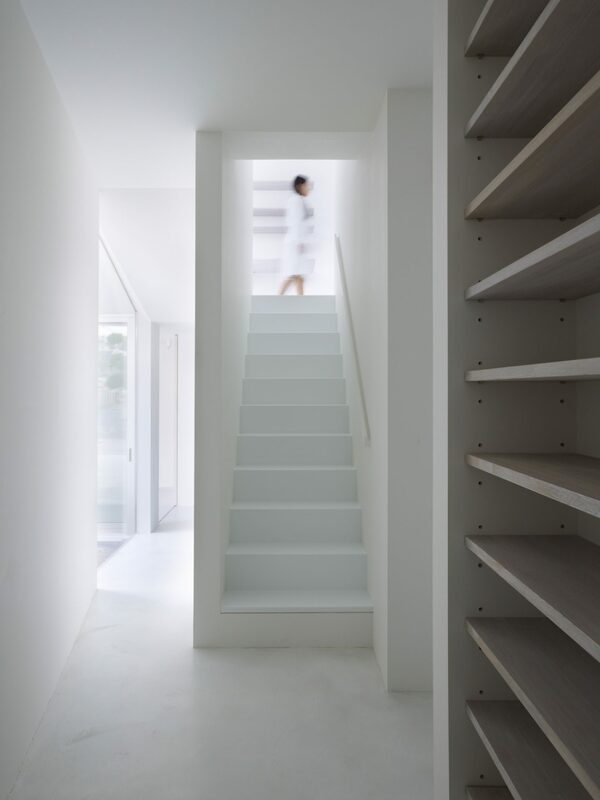 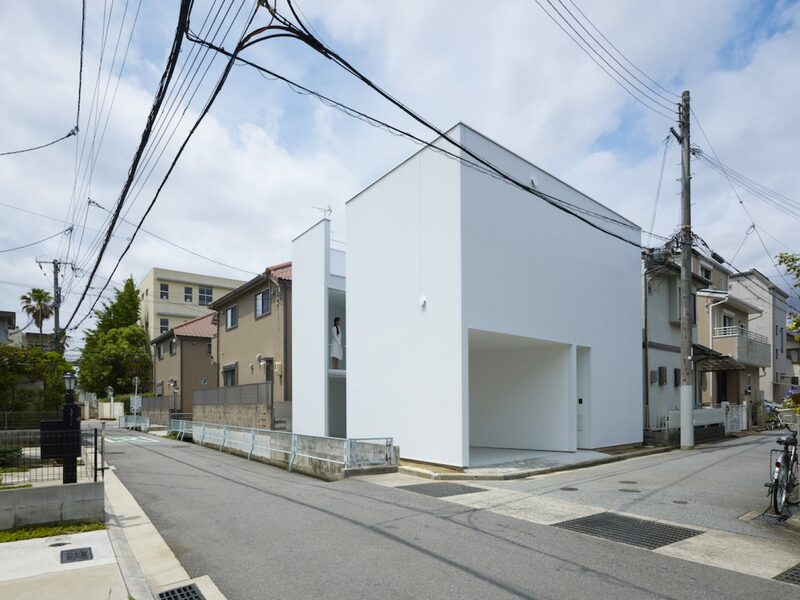 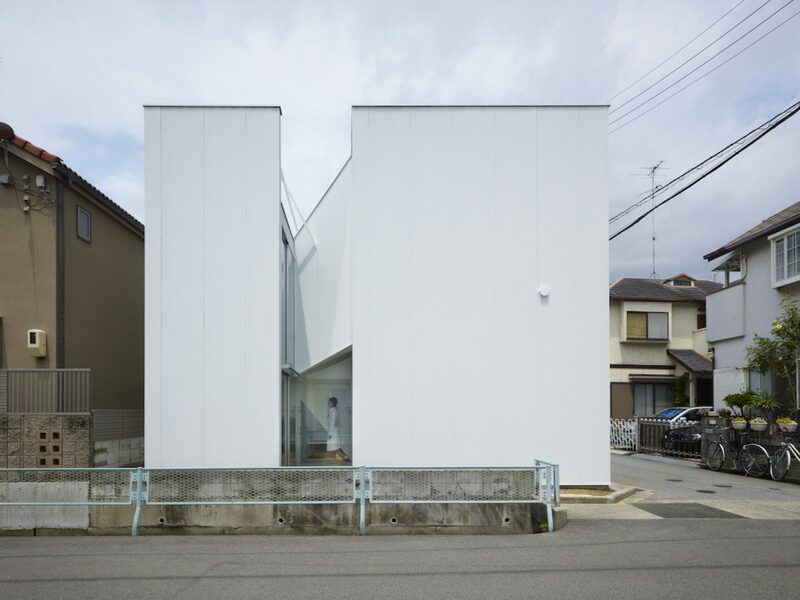 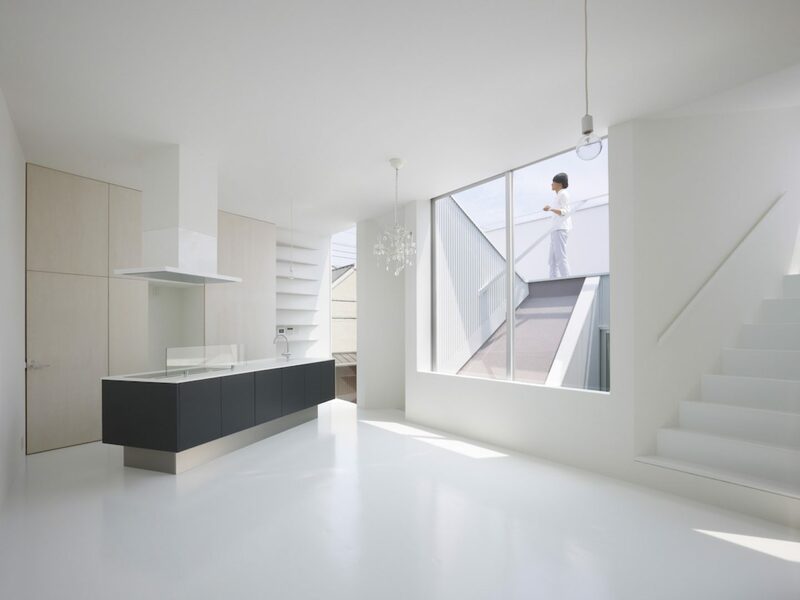 As this kind of solution is suffers from a lack of light, ventilation or views, the Japanese architecture studio ALPHAVILLE designed a house slightly differently, called ‘Slice of the City‘. 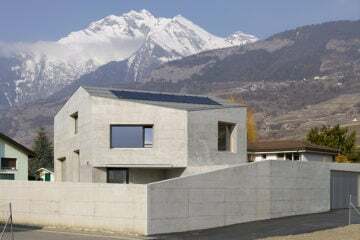 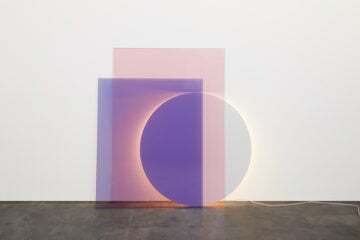 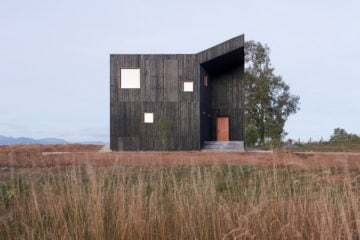 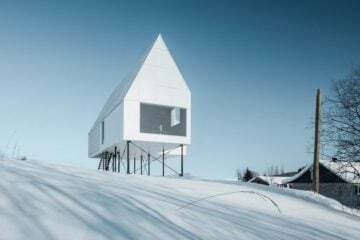 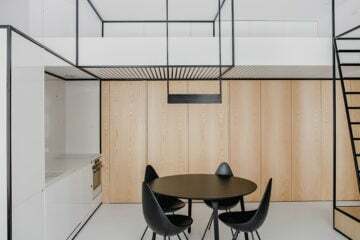 The house is divided into two parts by a linear void, which not only lets the daylight into both parts of the house, but also ensures the the internal ventilation by connecting the rooms to the open space. 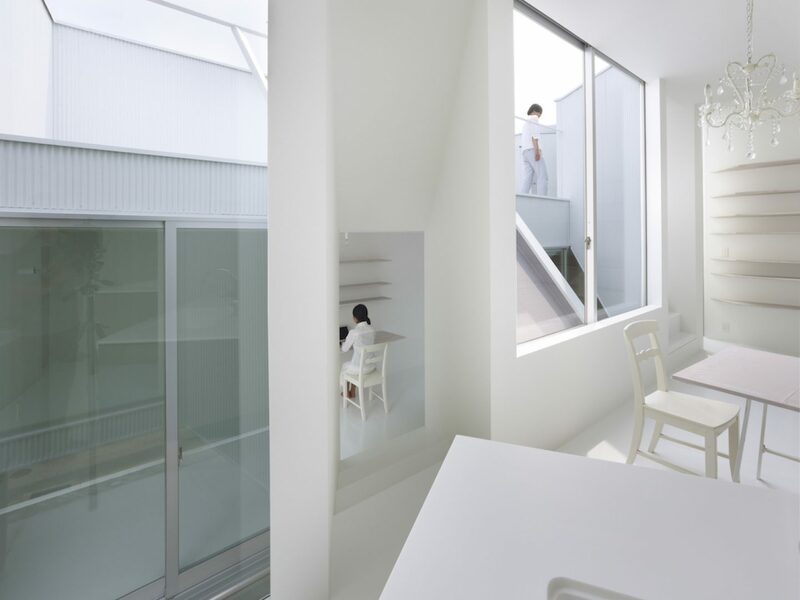 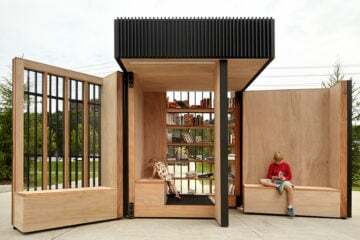 “To make it more dynamic, we make the staircases tilted and adjusted them to the windows, so the occupants could enjoy the changing views from various angles,” explain the architects.